He was mine for Part 1 and half of Part 2. But then the Kage Summit happened and he slowly became my least favorite character....and then Obito happened. He makes anyone look good, even Sasuke. Edited by Blue22, 04 May 2015 - 10:01 PM. Among funny characters, I'd say Jiraiya, Gai, drunken Rock Lee, stupid Tobi and Bee. Among serious characters, I'd say Chiyo and Sasori. I loved their backstory. Sakura/Chiyo vs. Sasori was the best fight in the manga. In databooks, it seems Sasori was the strongest Akatsuki member after Pein. Sasori/Orochi pair must have been unbeatable. And Orochimaru is my favourite villain, by far. If this was serious, then same for me. Really I like many characters. But I stopped reading the manga for a bit so I got familiar with KinGin latter than most. not until the dubbed version actually, which aired in Dec. They seemed the series' closest and most solid, brothers. most noticeable thing about them is how close they seem. All the other bro relations were strained, or the stereotypical trading barbs. They're brutal toward others, but they have a deep love for one another if nobody else. They work together in sync, and are very effective. Then one another's names are their most used words. I think it's nice how they're open in their relationship. When Ginkaku got in trouble, he felt no shame, and didn't hesitate, to call for his brother's help. And Kinkaku apparently thinks no less of Gin asking for, or needing, his help, and is happy to give it. He flies into Bijuu rage mode when someone does hurt his brother. Databook even states their bond gets stronger during an emergency. It's also cool having fraternal twins in the manga. I think KinGin were the only ones. We had 3 sets of identical brothers. But KinGin, if not half-brothers, are fraternal twins. They look similar enough to be twins, which many assume they are, which some fraternal twins do. The Olsen girls are fraternal. But their birthdays are 1 month apart, and their blood-types are different. Kin = A, born March 7. Gin = AB, born April 9. Different hair colors, assuming that's hair. Their eyebrows are gold+silver. So I lean that it's hair styled like,, the headdresses KinGin wore in JttW, rather than them being actual headdresses. Both are 44, born same year. There were some questions and theories had. Why did they fall from grace, and what changed? My headcanon says that the Kyuubi chakra actually did effect them in some way, possibly some of that hatred influencing them, and they became more arrogant and hard after being under influence of such power. My theory, and official headcanon, since the manga is over. If not, it's a thought they got purified and went back to the afterlife, since Kishi followed their legend as close as he could. So I think they were released, because the Kokinjou got sealed away with Kinkaku. 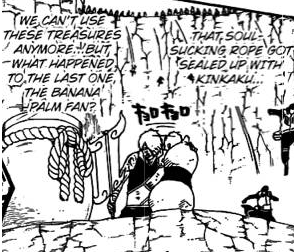 Yet we see TenTen has possession of that very Kokinjou in her shop. So Kinkaku apparently got out at some point. If so, I would like to think Ginkaku did as well, since Atsui + Samui were freed. The war also served to give some redemption and/or closure to some characters. KinGin possibly being purified, released of the hatred and sent back to the afterlife would be a good end for them personally. And if they were cleansed, then it could help their reputation be cleared, and put in the books that they were tainted by the chakra which messed them up. So they may very well get the reps back as being respected as the 2 Lights. Edited by SilverWolf442, 15 May 2015 - 09:17 PM. 1. Orochimaru: I have always had a thing for a good villain, more so than a well-made hero for some reason, and for me, Oro is the only really good villain in Naruto. A good villain is a character that it's supposed to anger the readers, make them uncomfortable, creep them out etc and I don't think any other villain came close to Oro in that regard in Naruto. How Kishi basically trolled Orochimaru is still one of my biggest gripes with the whole Naruto series. Seriously Kishi? You build up a character like Oro, you nerf him early on, and never really gives us a fight when he's at full power and going all out for real and not messing around? Yes, I know some would argue that Kishi gave us that in Oror's fight with Sarutobi, but to me, the skills he showed in his fight against Naruto and the Eight Branches Technique he used against Itachi was more impressive than anything he did against Sarutobi and that was done by weakened Orochimaru. Edited by Morgion, 27 October 2017 - 04:54 AM. Shikamaru: He is like the Tony Stark version (lazier) of this series. Likable personality, doesn't take himself too seriously, genius in every way, and has a huge under that lazy exterior. Oro was definitely a great villain and I hated how his character went south by part 2. The guy murdered countless innocents and he gets his dreams fulfilled . He is only alive in case they need him as a villain. He should have died in a glorious finale. I don't know something like team 7 is reunited and they all fight against Orochimaru as the climax of an arc. Oro dies by realizing that his bonds with Jiraya, Tsunade, and Sarutobi is all he needed to feel fulfilled in life and he looks at team 7 at what his life could have been. Male Character - Jirayia. His perverted nature aside, he was actually really grounded when compared to the rest of the nearly insane eccentric wackjobs. He was also about the only character that 'died without regrets'. Although his body was lost, he probably couldn't be Edo Tensei'd cause it was implied he died without any regrets. Villain - Orchimaru. . .until Kishi screwed him up and. . .redeemed him. . .the dude MURDRED/EXPREMENTIED ON OVER 100 KOHONA CIVILIANS! That alone should have been a death penalty. Then there what was no doubt his body count outside of the village. He should have been the type of Missing-Nin/Criminal that Akatsuki said, "No we don't want you because for as blood thirsty as we are, we still have standards!" Edited by paka, 06 November 2017 - 07:50 PM. Female Character: Hard to say. So many women in this series had potential only for it to be wasted. I spent a lot of time thinking of this one and realized I was only making these decisions based on how they looked and not them as characters because....well, aside from Tsunade and maybe Hinata, they all kinda sucked as characters (though if I made my decision based on designs alone, Post-War Sakura and Ino would win). Thank goodness for the Boruto series because now we have Sarada and Chou Chou, who may not be perfect characters, but are already leagues better than most of the women we had in the previous series. Male Character: Kakashi and Itachi, hands down. Though Boruto is starting to grow on me too. Villain: Orochimaru. I actually kinda wish the villains in the series had stayed as simple as him. I actually kinda wish the villains in the series had stayed as simple as him. But yeah, Orochimaru was simple. He was just a mad scientist with no redeeming qualities and a backstory that barely qualifies as tragic. Blue22 - Something else to consider - ever notice that maybe one or two Akatsuki members got some kind of 'Redemption' while the rest were clearly bound for Hell? (or would've been if not for Edo Tensei). Odd that one mass murderer(Nagato/Pain) got redemption while another mass murderer like the Zombie Brothers/Diedera didn't. Well from what we know most of them are just straight assholes. Pain wanted to change the world even through horrible means. Itachi loved konhah. and the rest were just killers. Pain also died bringing a bunch of people back. Does hell even exist in Naruto? Chillman - Zazuba mentioned dragging Gato down into Hell with him. Saying there's a "Hell" doesn't necessarily mean there is a literal hell in Naruto. Plenty of people who should have gone to "Hell" never mentioned the idea of seeing or suffering anything of a hell. So at best it seems like a wordy concept thrown about for tough talk and the like. At best however, the only thing comparable to what could be Hell like. Would be the bowels of the Shinigami, after being sealed within. Aside from that, nothing really. Kakashi. Need I say more? After rereading the manga I was nothing but amazed with him. Reading it week by week made me not appreciate him as much but he had his highs and lows moments and the way he draw people into him which in turn helped him overcome his biggest obstacles was the best. His talk no jutsu is still something to be feared. 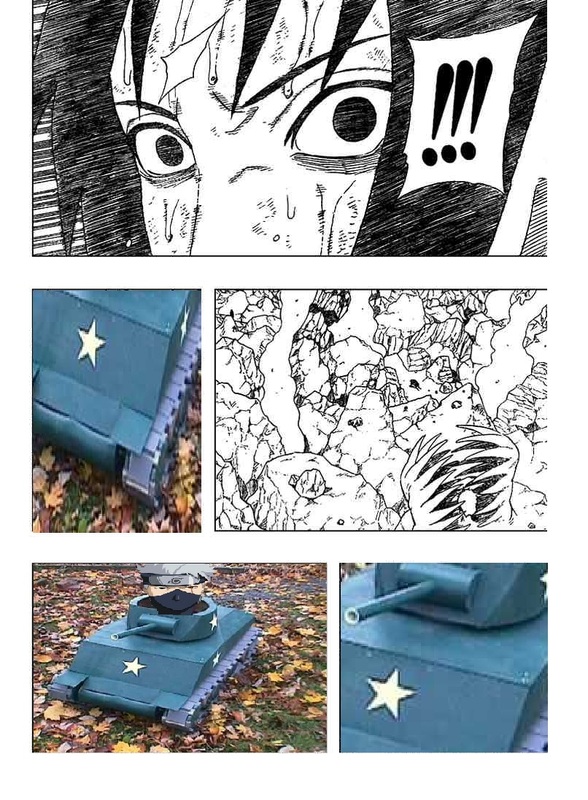 He talked nagato into suicide. He talked neji into killing himself for him as well. He is a beast. 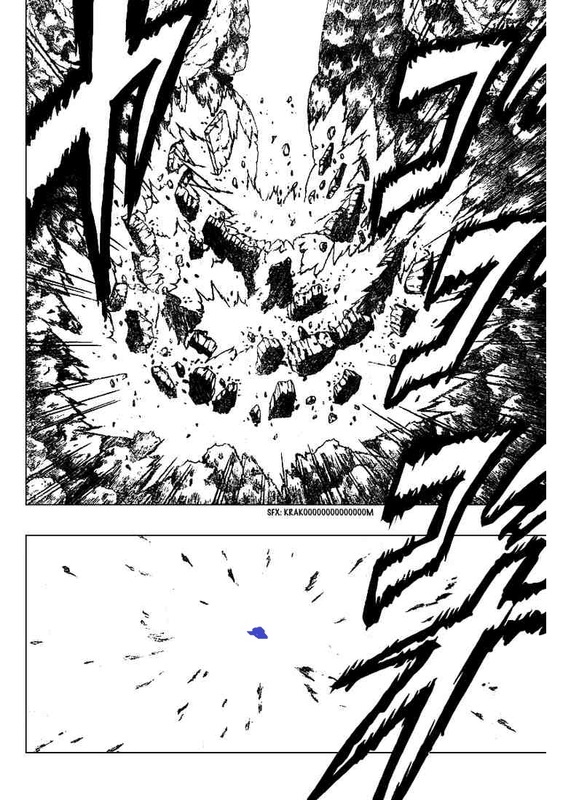 Even thought he never won against sasuke, it was a draw in the end, he made sasuke surrender to his ethics and morals.